Summer is almost here! Too soon, you may say! But, now that we’re (very much) into the ‘heat zone’ it’s time to keep a check on your diet. The rise in mercury every other day results in loss of water from our bodies. In order to cool off ‘the natural way,’ our bodies produce more sweat. Thus, we tend to sweat a lot during the scorching summer months. In order to maintain proper fluid balance in the body, we need to drink more water/ fluids like fruit juices during summer. However, drinking adequate fluids alone is not enough to ‘beat the heat and boost up fertility’ during summer. You need to understand which foods are healthy for your fertility and include such food items in your summer diet to stay fertile and active in summer. Here we have discussed 5 summer fertility foods which you must include in your diet during the summer months. Tomatoes - Known for being a storehouse of Vitamin C, tomatoes are rich in several types of antioxidants and carotenoids. Lycopene an antioxidant present in tomatoes has shown to have a good effect in reducing blood clot of any form in humans and is beneficial for people of all ages. Especially people with cardiac complaints need to consume tomatoes to keep clots at bay. But, in addition to having good support for heart, the noble tomatoes are efficient in maintaining the sound health of your uterine lining as well thus acting as an important fertility food. 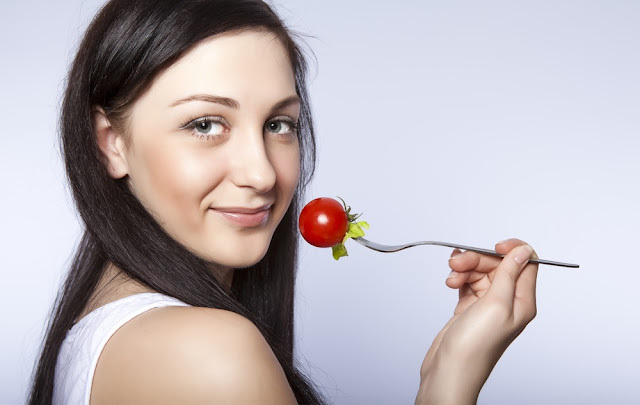 During summer it is recommended to consume tomatoes every day to keep your body in sound health. Corn - Vitamins B- Complex is important for fertility and corns are practically storehouse of Vitamins B- Complex, minerals and antioxidants, besides being a gluten-free dietary fiber! Spice up your summer weekend BBQs and quick snack time with fresh and roasted corn. You’ll get the double benefit - enjoying a tasty bite and nourishing your reproductive system with a rich dose of antioxidants to keep you agile and energized. Organic Chicken – Vegans please excuse, but we couldn’t help excluding this food item from our list of summer fertility boosters! A great source of protein, organic chicken is especially beneficial during ovulation throughout the menstrual cycle. Although there are multiple ways of cooking chicken, the best way recommended by health experts is to grill the chicken and eat it with green veggies and baby potatoes. Why? Because it has been found that grilled chicken holds the maximum nutrients in compared to other forms of its preparations. Green Tea – This beverage has already caught up with the public due to its high antioxidant content which has made it the number one choice for people wanting to reduce their body flab, people with cardiac and intestinal complaints as well as for maintaining general well being. But did you know that green tea is a wonderful fertility booster? Yes! Here are some of the benefits of drinking green tea. Drinking half a cup of green tea doubles the chances of conceiving, increases sperm count and sperm motility in males and helps an egg to mature in females. Green tea helps in hydrating the body thereby helps the body in producing more ‘cervical mucus’ “that help sperms to travel through reproductive tract to the egg beside keeping the sperm agile for up to five days.” However, as with all caffeine containing beverages, here too, moderation is the key! Decaffeinated (powdered and capsulated) varieties of green tea are also available for those who don’t want to drink but still wants to reap the benefits. Cherries and Berries – Cherries are high in antioxidants, low on calorie and rich in nutrients and to top it, cherries are just delicious… aren’t they? Cherries possess anti-inflammatory properties which support uterine and ovarian health. Talking of cherries all other berries blackberries, blueberries, strawberries and raspberries are good summer fertility boosters. So you can bite into any of these delicious berries anytime anywhere and keep yourself cool, fit and fertile during summer months. The key to remaining healthy and fertile starts with consuming the right food. Consuming seasonal fruits and veggies are always a surefire way of staying fit. The five summer foods discussed above should help you in boosting fertility while keeping you refreshed and energized all year round. Keep on munching. Happy summer! For more tips on fertility stay connected to GENOME The Fertility Centre Blog.